Looking for some stocking stuffers? 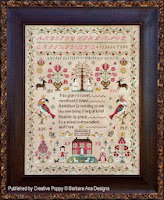 We can help -- everything from darling needle slides, scissors, buddie boxes and more. There are also gift certificates in any amount. 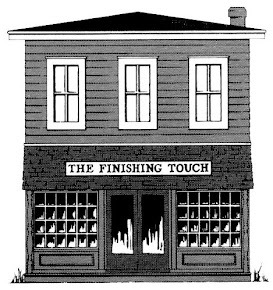 When the shopping is finished and a new project is desired, we can also help there. Here are some of the latest arrivals for you to enjoy. 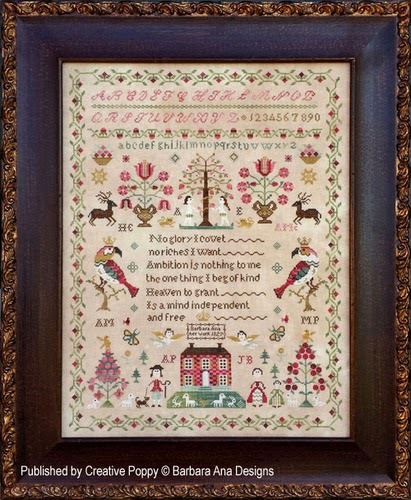 THE SNOOTY PARROTS SAMPLER, a Barbara Ana design, features a wonderful verse, many small motifs and two colorful parrots. 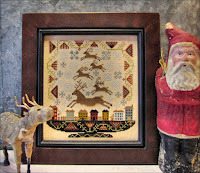 Nice sampler! 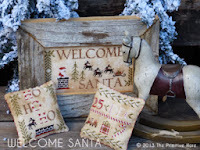 WELCOME SANTA, FROM THE PRIMITIVE HARE, includes three designs: the large Welcome and two ornament/pillow designs. 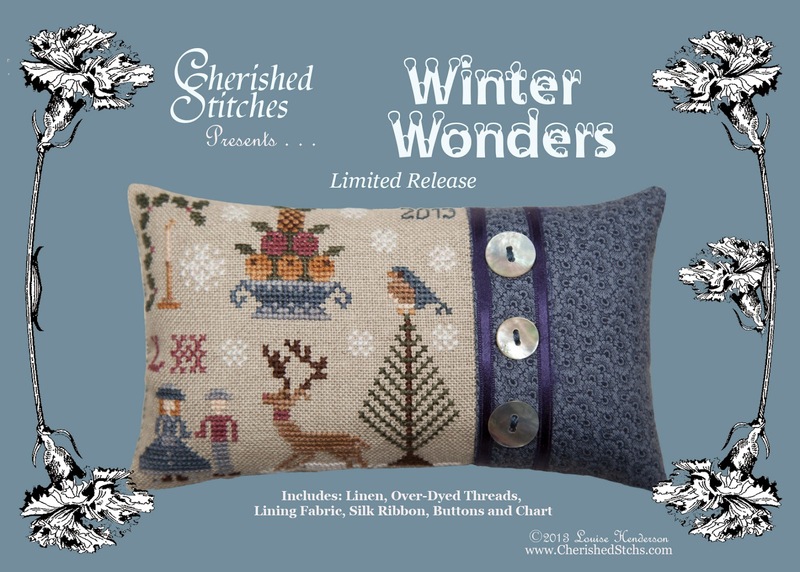 WINTER WONDERS is a complete limited edition pillow kit featuring winter motifs. Kit includes linen, fibers, silk ribbon and chart. 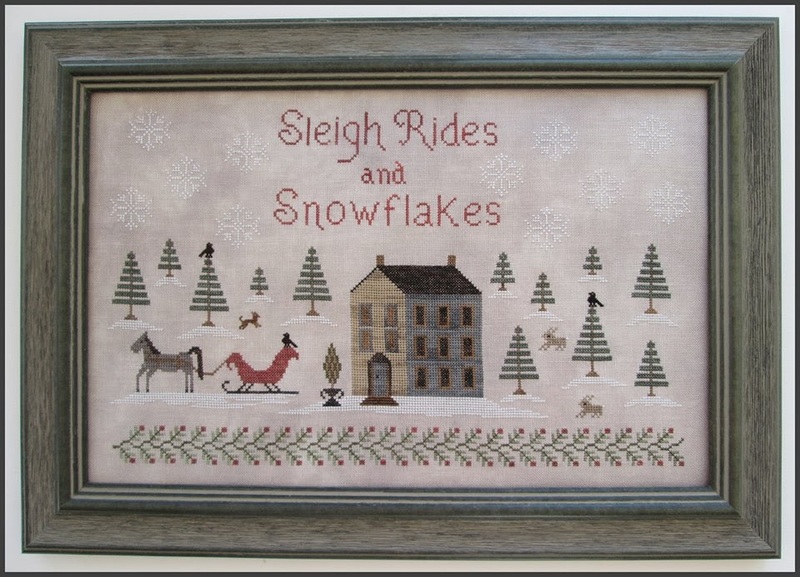 We are looking forward to the arrival of SLEIGH RIDES AND SNOWFLAKES from The Scarlett House and REINDEER GAMES by Kathy Barrick.